The Met gala has come and gone, which means only one thing: there is a major fashion exhibition underway in New York City! 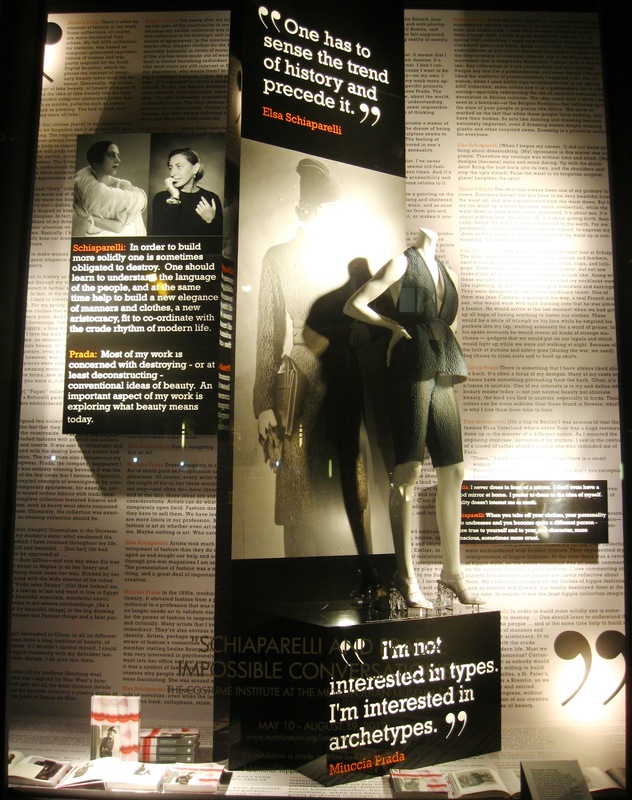 After Alexander McQueen Savage Beauty (post here), the venerable institution gives us Schiaparelli and Prada: Impossible Conversations, on show starting today until August 19th 2012. 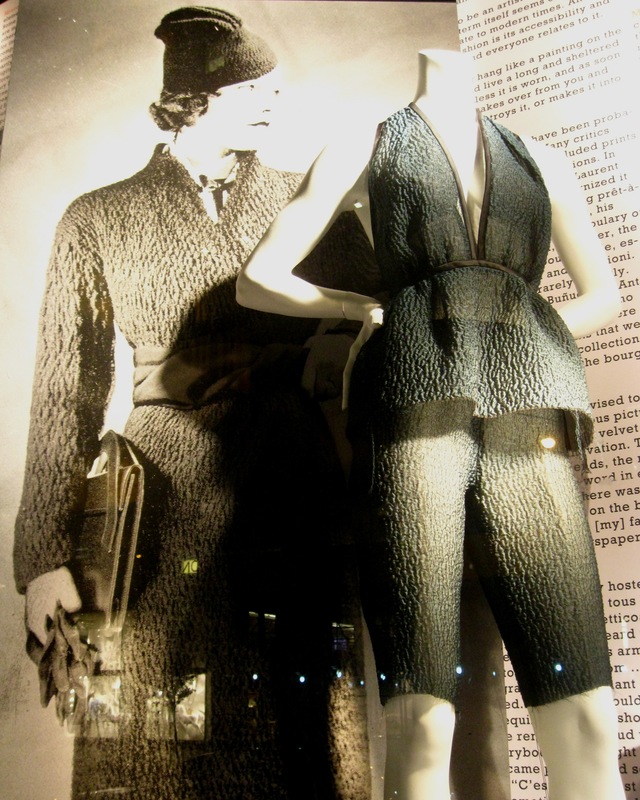 Every year, Bergdorf Goodman designs its 5th Avenue windows as a tribute to the annual Met fashion exhibition. 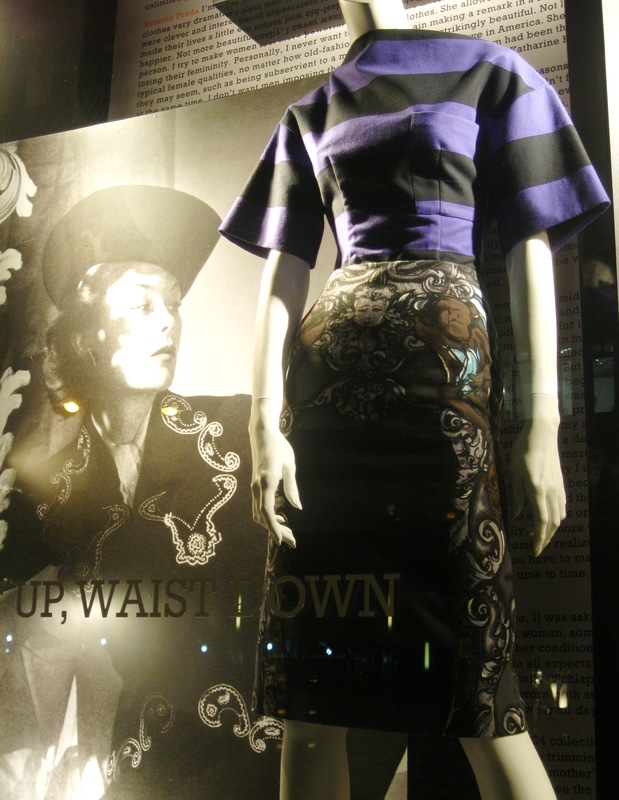 Since you loved my 2011 post on the Alexander McQueen windows, here are the images for 2012 with Prada galore. 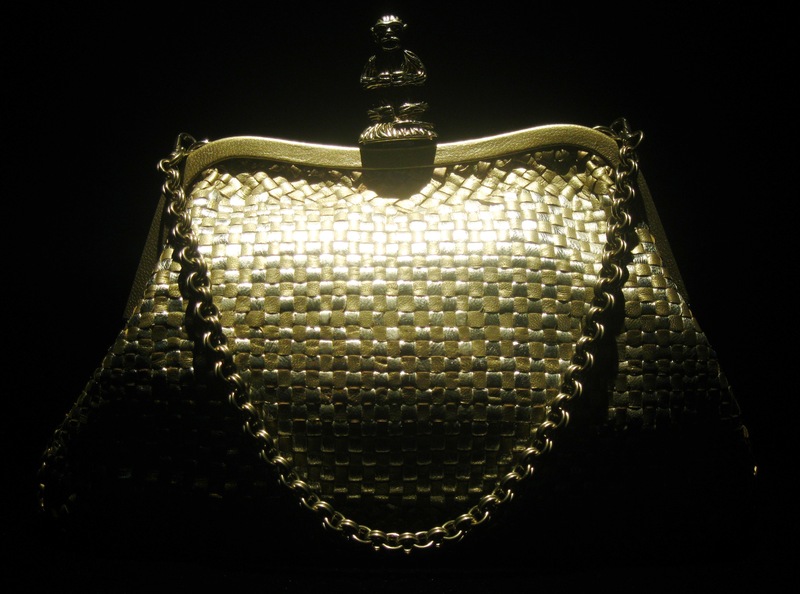 The exhibition compares the designs of two iconic Italian women from different eras. 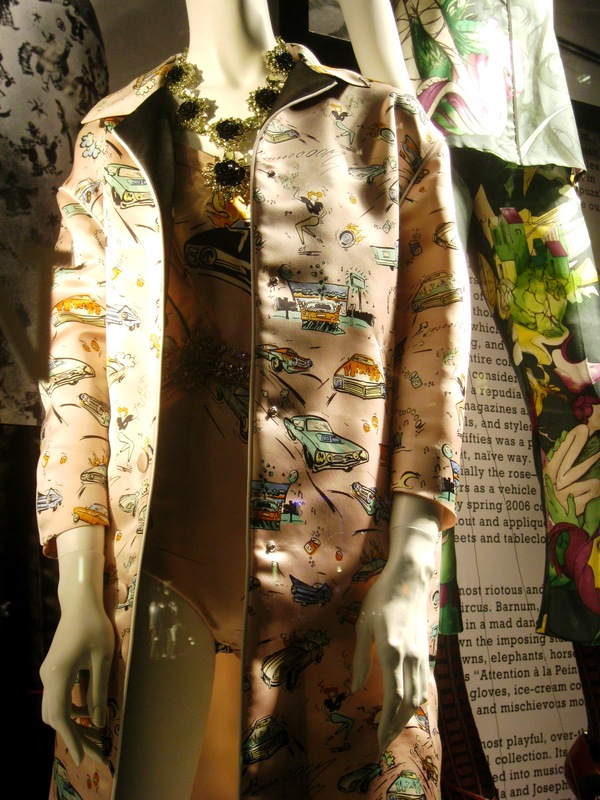 Elsa Schiaparelli worked in Paris from the 1920s until 1954. 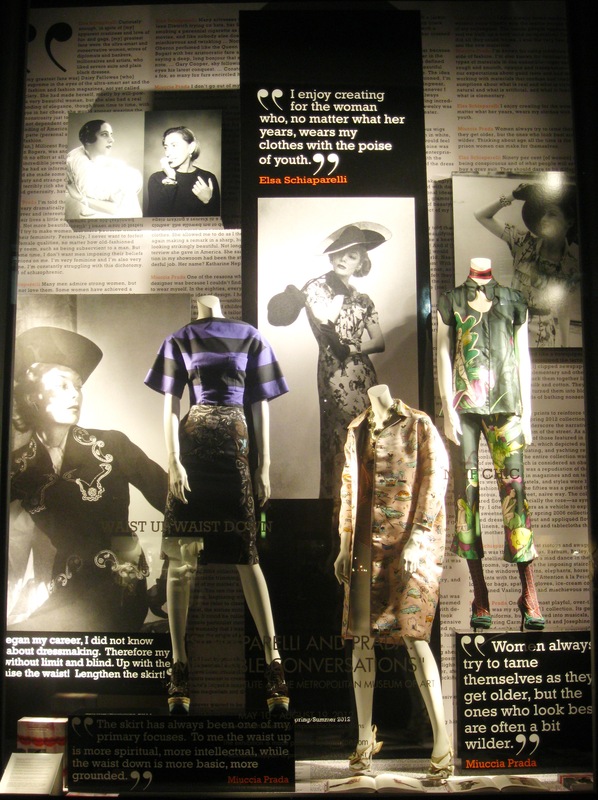 As for Miuccia Prada, she took over her family business in 1978 and is celebrated as one of the most influential designers of our times. 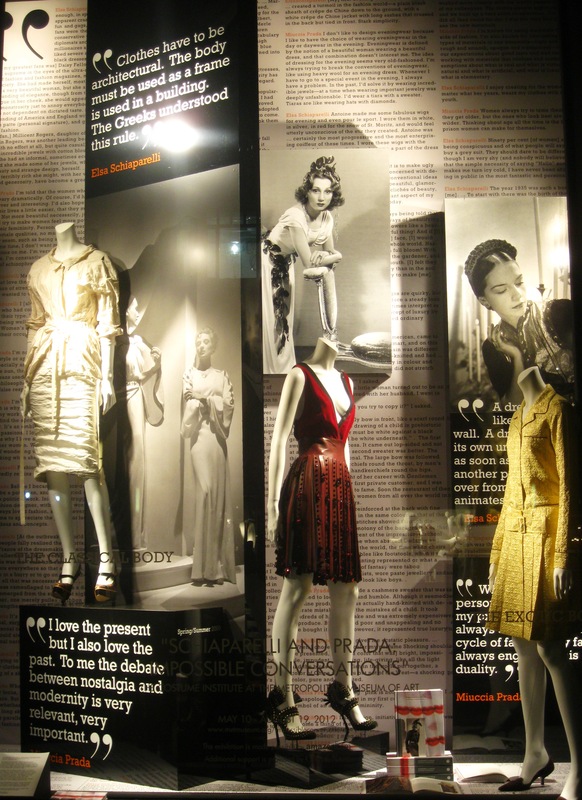 Inspired by Vanity Fair’s “Impossible Interviews” from the 1930s, the Met conceived the exhibition as a series of imaginary conversations between both women. 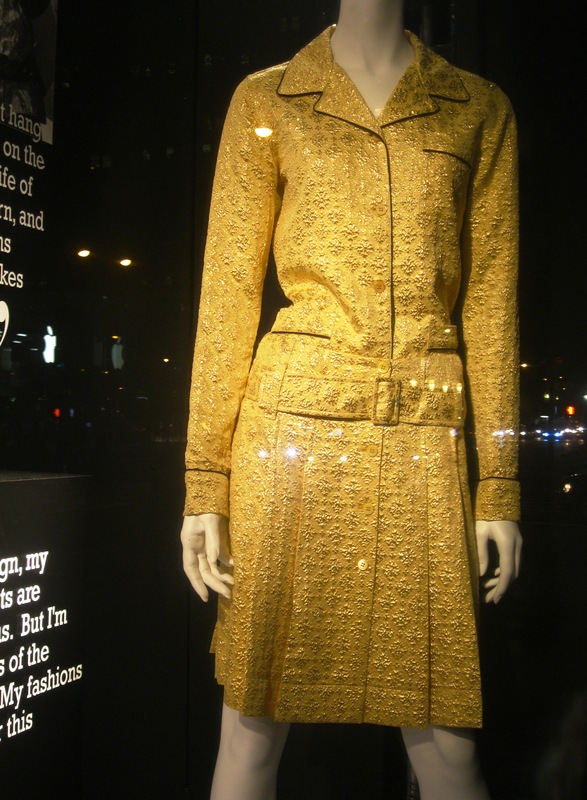 The windows are full of quotes sharing striking similarities in their vision of fashion. 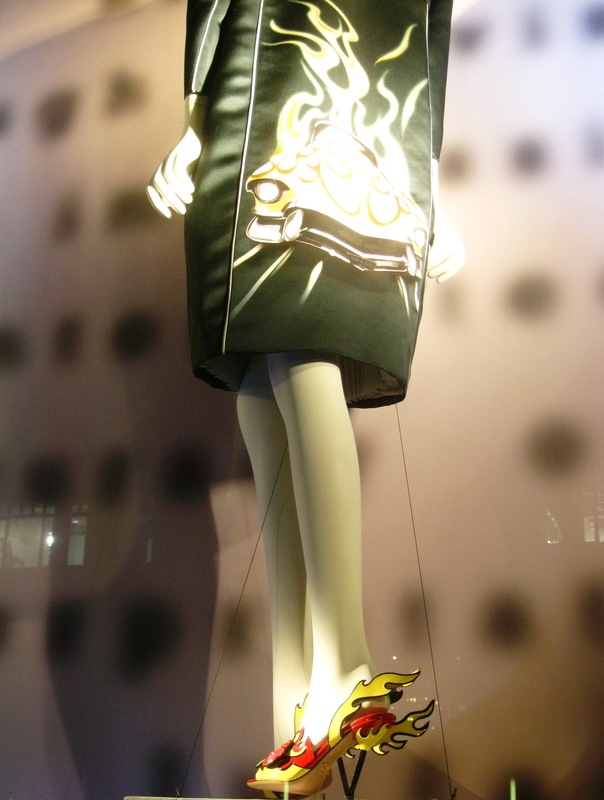 The last 2 windows are an ode to surrealism with designs from this summer’s Prada collection. 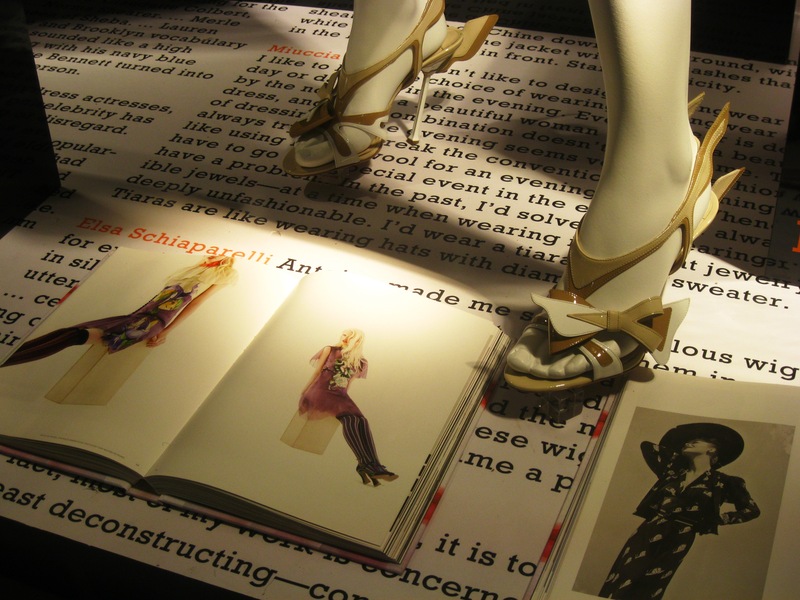 Also featured are the book dedicated to the exhibition and Prada goodies in the smaller windows. 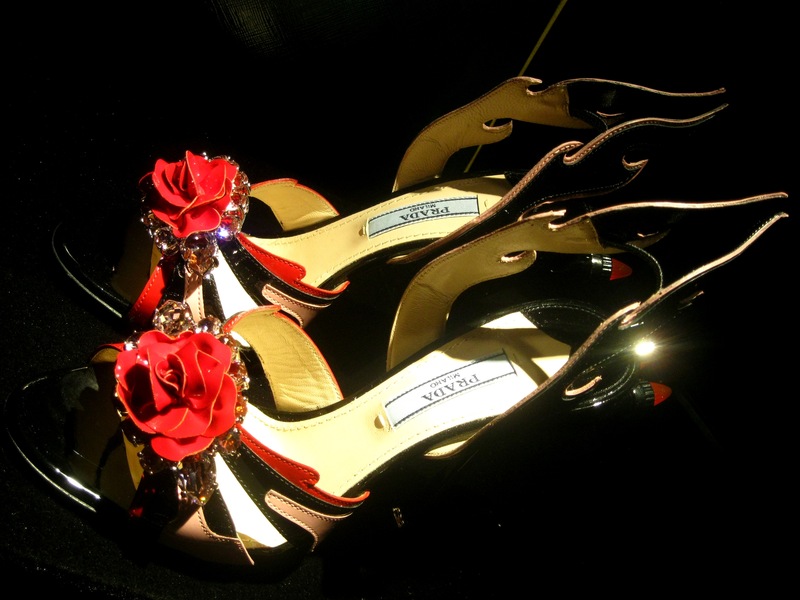 Ah, the shoes. Don’t get me started on the shoes. 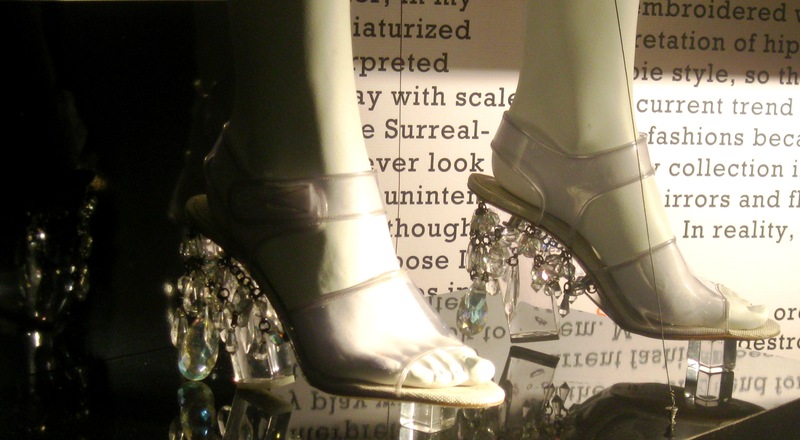 Do the Bergdorf windows make you want to hop over a few blocks to the Met? They sure did for me! 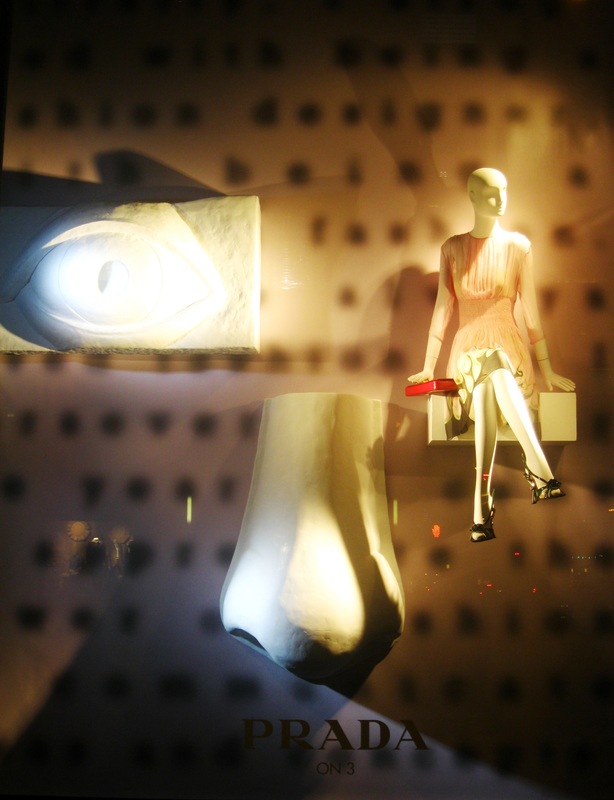 A great deal of thought and research has gone into this window display. Very impressive! 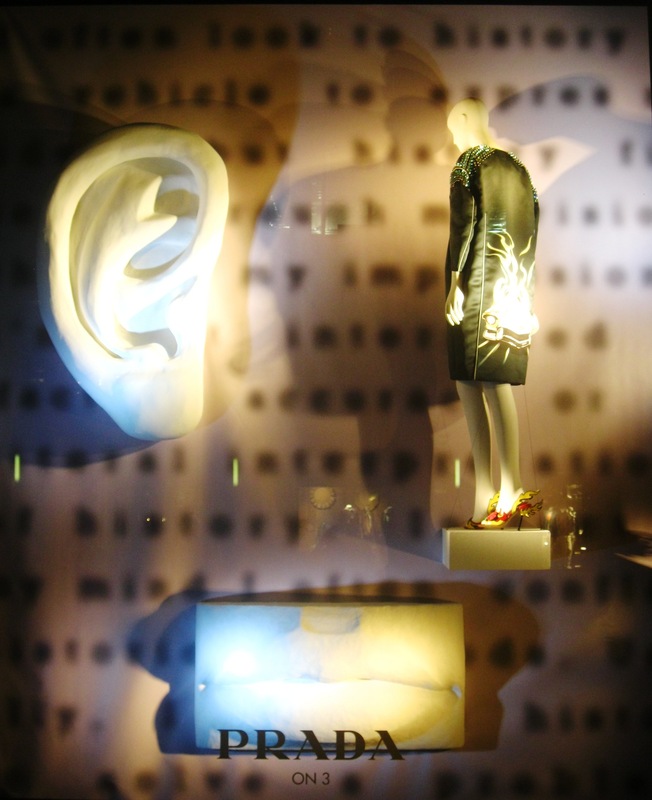 I often find window displays are visual meaning that a quick 2 minute glance is ample but this neat idea about exhibiting the imaginary conversations will actually get people to stop, read and observe. 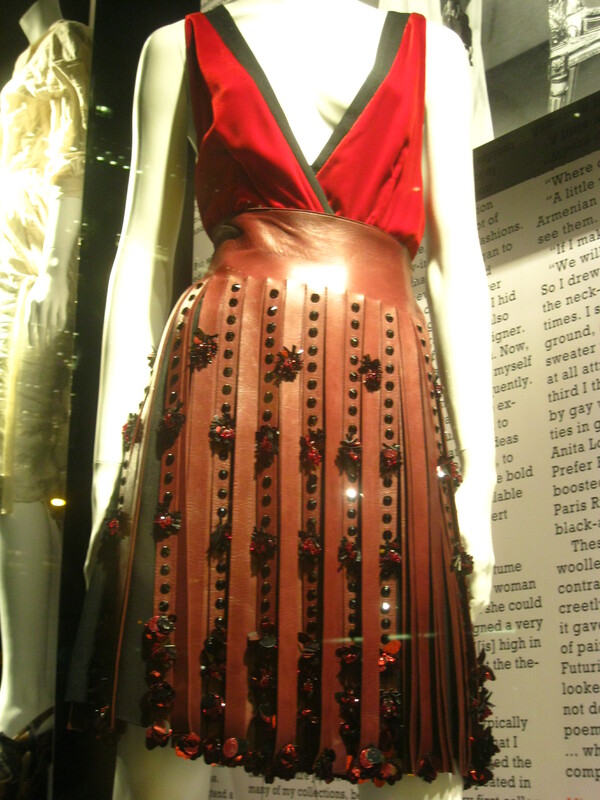 That is precisely what I love about Bergdorf Goodman windows. They are not just simple visuals but true works of art which cause people to stop and observe them, whether they’re interested in fashion or not. They almost have an educational purpose in that sense. 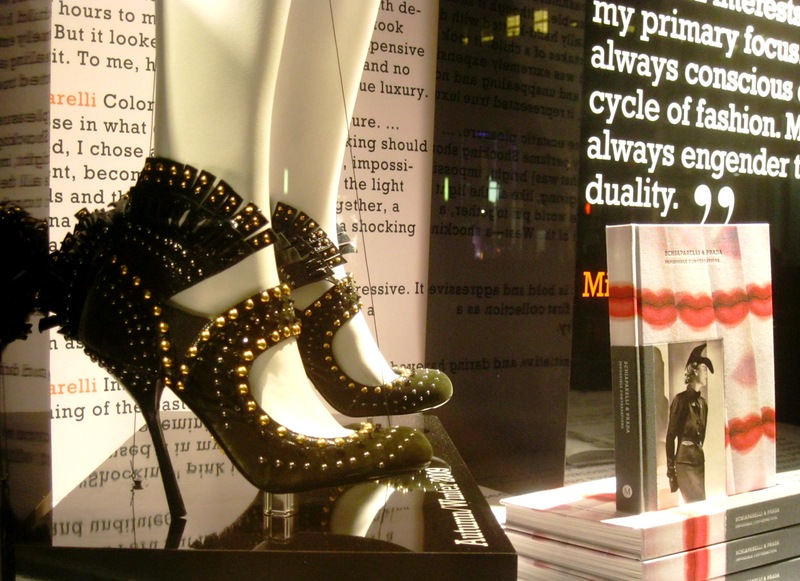 Their window displays are the very best in NYC for sure. Can we make a date to go please?? Absolutely! Let’s set a date when you come back from Europe. Lucky you! 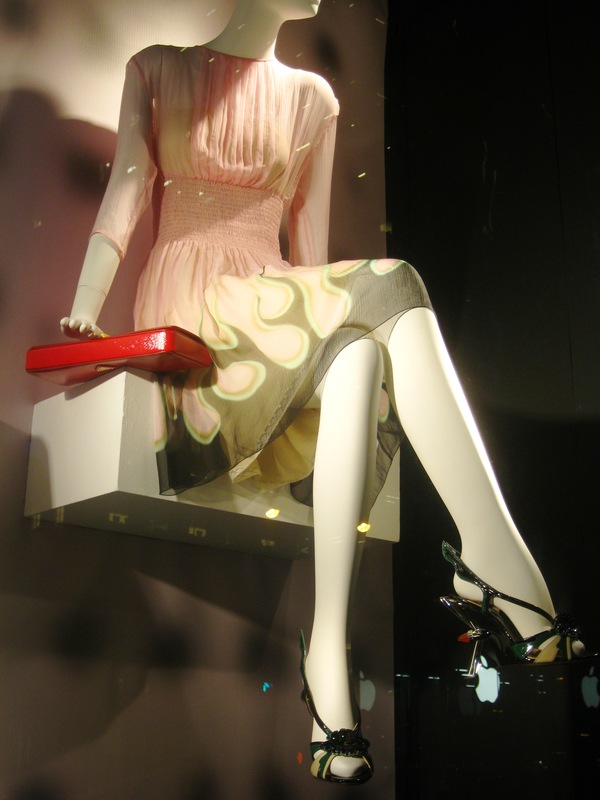 You have the opportunity to see all the amazing exhibtions in NY! I guess you have seen the intro video by Baz Luhrmann: http://youtu.be/c55tCFU2Oho I loved it so much! I finally took the time to watch it. So well-scripted! 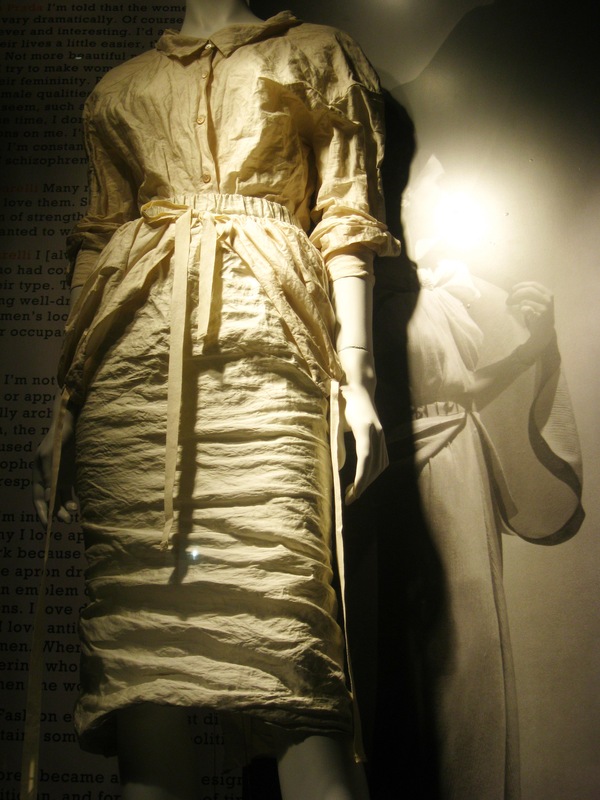 Obsessed with this exhibition. It looks as if an article came to life! Amazing.